Keeps promise to add awesome things we like. Trendy Entertainment has dropped some of the more controversial features from its upcoming tower defense sequel Dungeon Defenders II, namely the multiplayer online battle arena (MOBA) features. In its place, fans get more of what fans want! Internet denizens who haunt official game message boards aren't shy about voicing their opinions about the games they love. Listening to fan feedback is slowly becoming the new thing to do, not only to make games better experiences, but to appease the players who actually fork over cash. Arcen Games has been one of the best examples of this fan-influenced design model, and so far it's worked well for both sides. 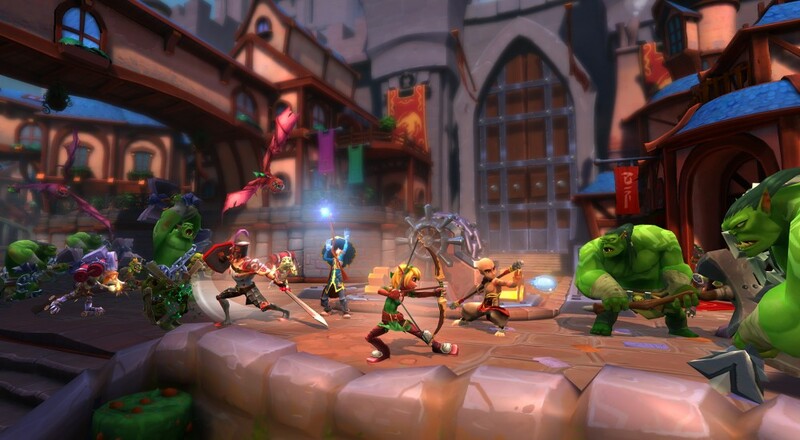 With Dungeon Defenders II, Trendy listened to feedback from the community, most of whom thought the MOBA-style gameplay was neither the bee's knees or the cat's pajamas. Instead of getting uppity and handing them the proverbial shaft, Trendy switched gears, ditched the MOBA elements, and took everything back to the core gameplay. The plan is to improve upon the original designs one step at a time, adding more meaningful decisions, new combat, new tower placement systems and more. "Imagine dousing a crowd of enemies with oil and then the Apprentice’s flameburst tower hitting one of them with a flame bolt, lighting them all up! Or a trap launching an orc into the sky, only to be frozen and then shatter after crashing to the ground. We’re creating these synergistic systems as a way to allow players to discover and share new ways to play the game..."
Dungeon Defenders II is in development for PC, Mac and Linux. The soft launch is scheduled for next spring. Page created in 0.2960 seconds.